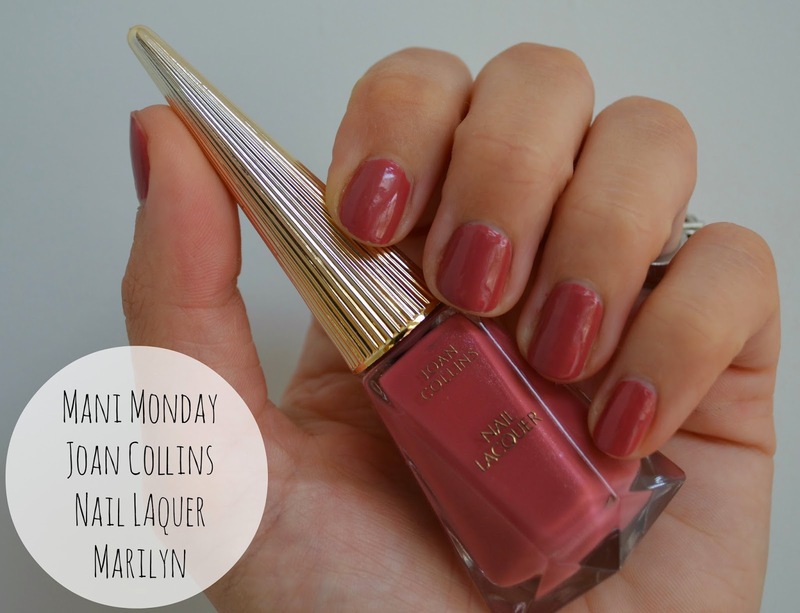 Back in March, Joan Collins launched her Timeless Beauty Range including a collection of nail lacquers (£12.50 from QVC) and last week I tried out Marilyn, which is a muted reddish-orangy-pink shade. I think the bottle is quite Art-Deco with the long tapered gold handel being inspired by Hermes and Cartier and has been designed to help improve precision of application. 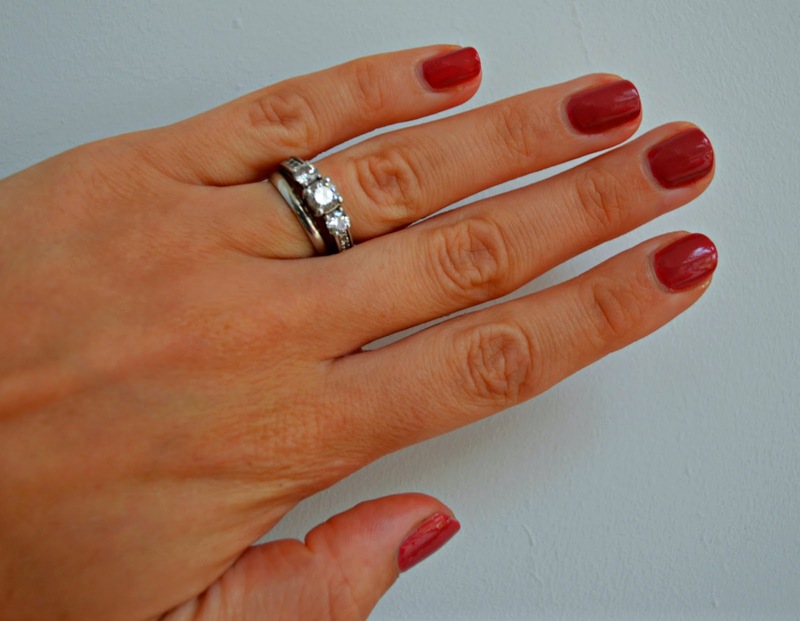 Although the formula of the polish is good (despite my swatches being rushed and not perfect!) I think the colour might be more suited to a slightly more mature lady, like Joan herself! 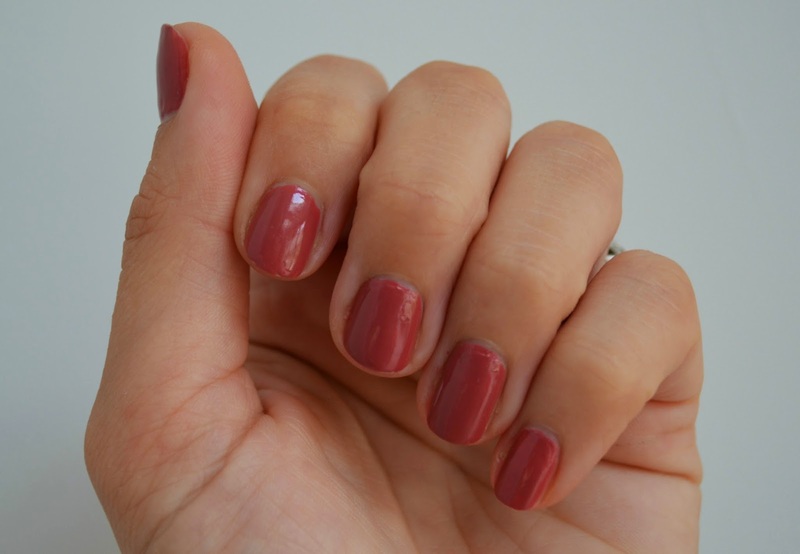 However, I have felt quite demure and lady-lie wearing this shade, so I might save it for afternoon teas!